Kitchens - Have you always wanted the kitchen of your dreams? Bathrooms - Make your bathroom a personal retreat. Renovations & Additions - Increase the value of your home! New Home Construction - Time for your dream home? Decks & Porches - Enhance your curb appeal! Basements & Attics - Find that hidden square footage. Commercial Remodels - Offices, Retail and more! Insurance Restorations - Call us first after a disaster! Home Repairs & Maintenance - Be proactive to save money later! For most Americans, their home is their most valued — and valuable — possession. 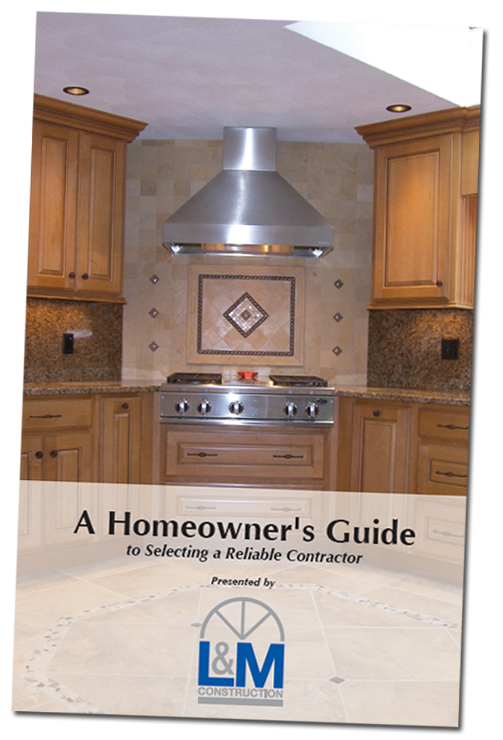 It stands to reason that great caution should be taken before entrusting a home to a contractor. Many reasons exist to make a change to a home: a growing family, outdated bathrooms, an inadequate kitchen, universal design changes to allow staying in one's home longer in life, increasing the value of a home, or just a change in lifestyle. Thankfully, a lot has changed. With the increased use of the Internet, homeowners have become wiser, know what questions to ask, use social media to read reviews, and are able to review a contractor's work before even calling. Jim Lufkin and Rick Mitchell invite you to review what their satisfied homeowners have to say about working with them, to view the many projects completed over the years, and to ask any questions that may help understand how L&M Construction takes care of each and every home as if it were their own. When you are ready for more information, please call Jim or Rick at 603.329.5099 and set up an on-site meeting to discuss your needs. They look forward to meeting you. Legislation requested by the NH Home Builders to open up zoning ordinances which prohibit or restrict accessory dwelling units has been signed by the Governor and is now chaptered law. Click to get your FREE guide!